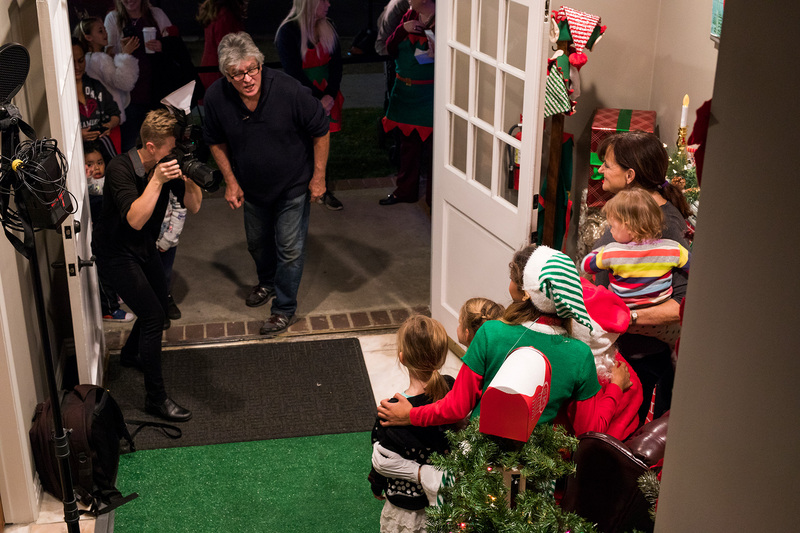 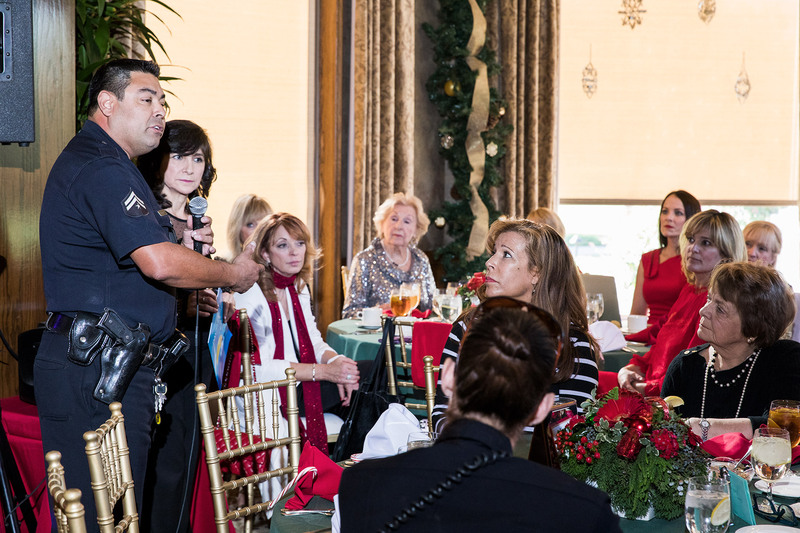 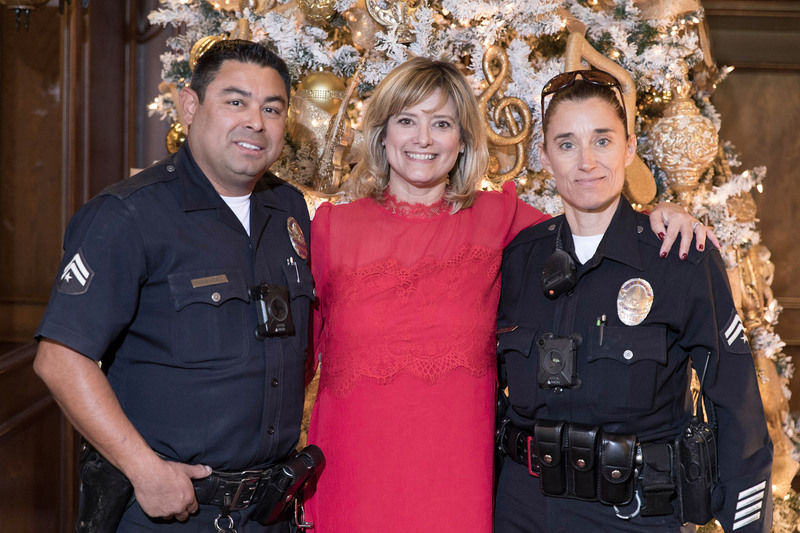 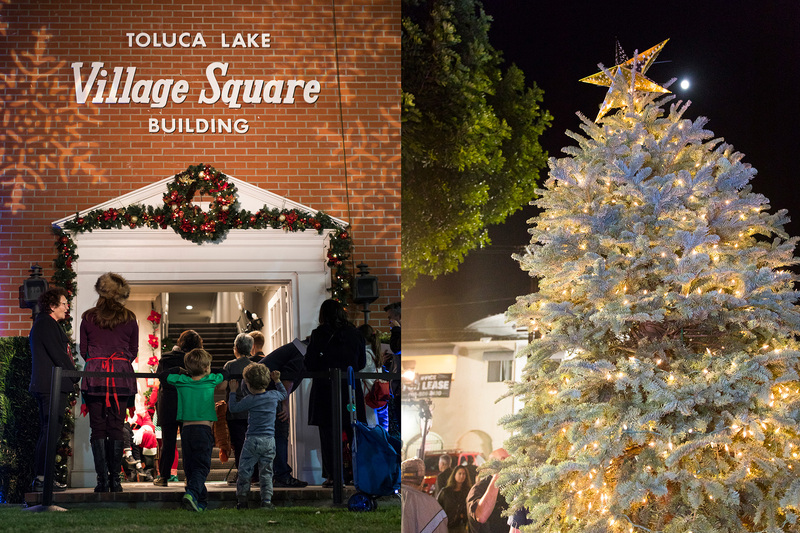 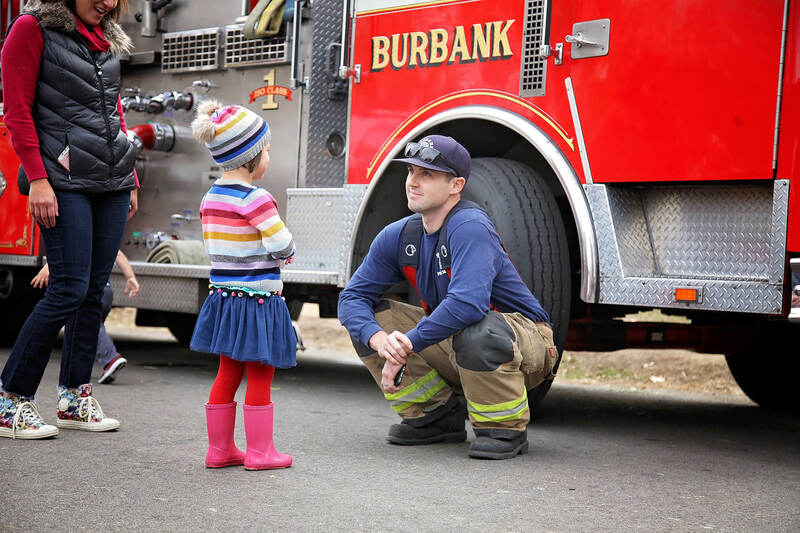 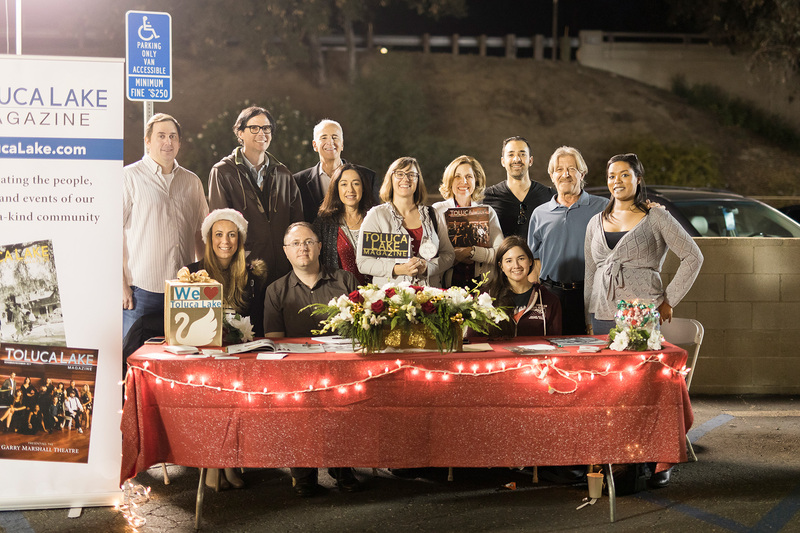 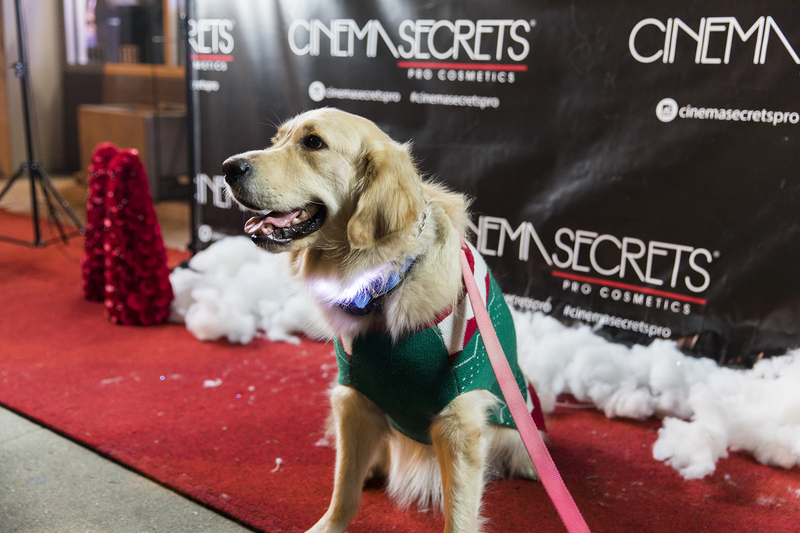 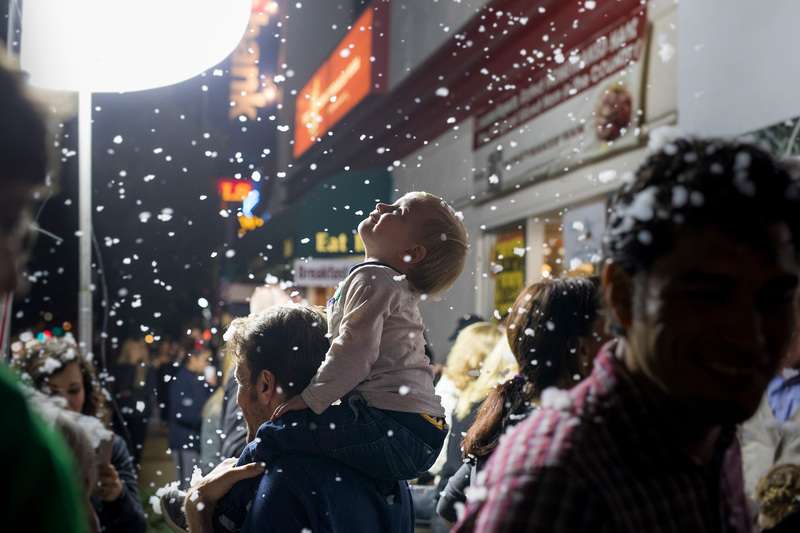 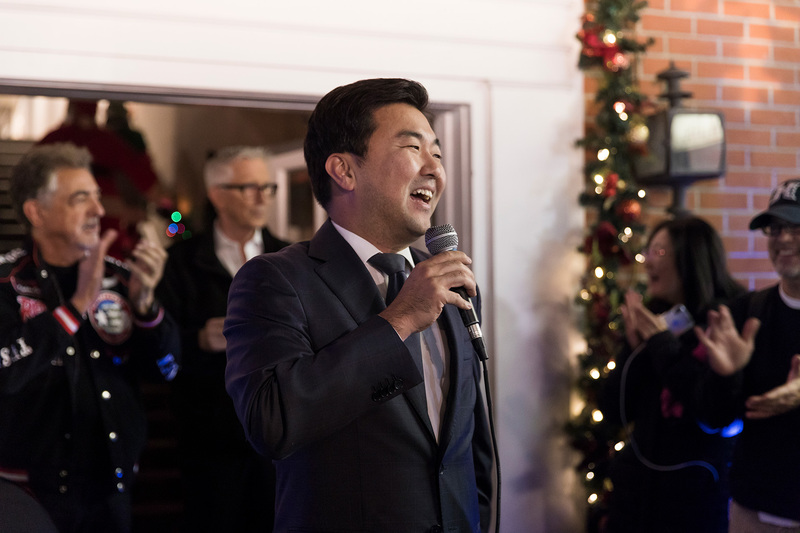 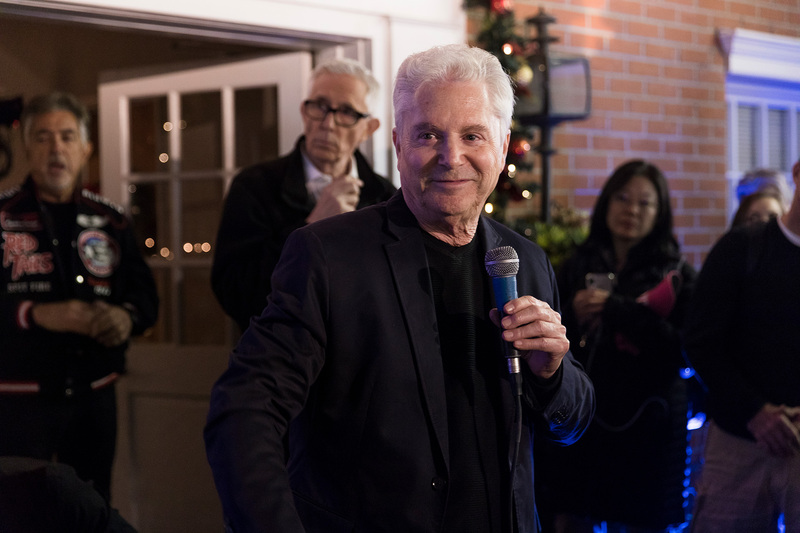 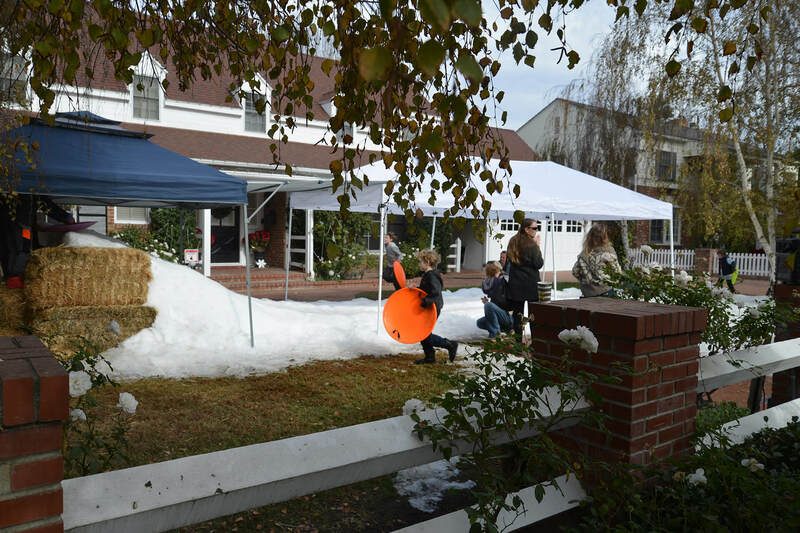 On December 1, the Village filled with seasonal cheer as businesses, community groups, and hundreds of residents and neighbors gathered for the annual Holiday Open House hosted by the Toluca Lake Chamber of Commerce. 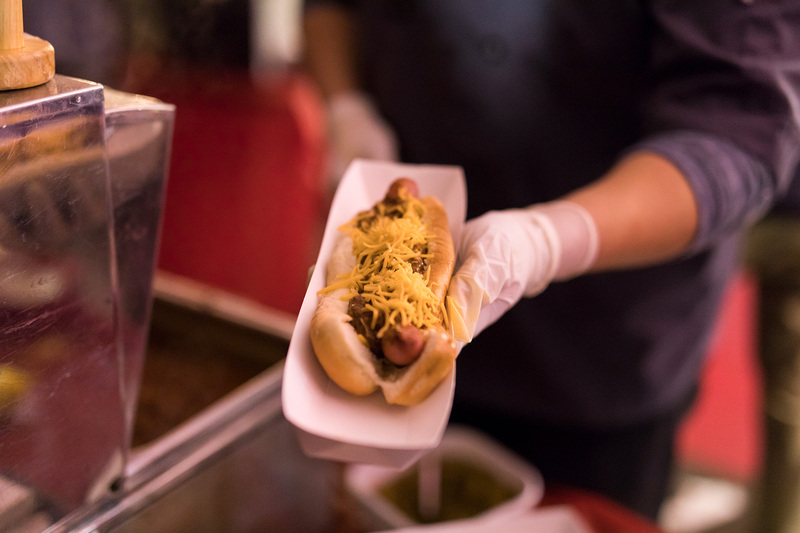 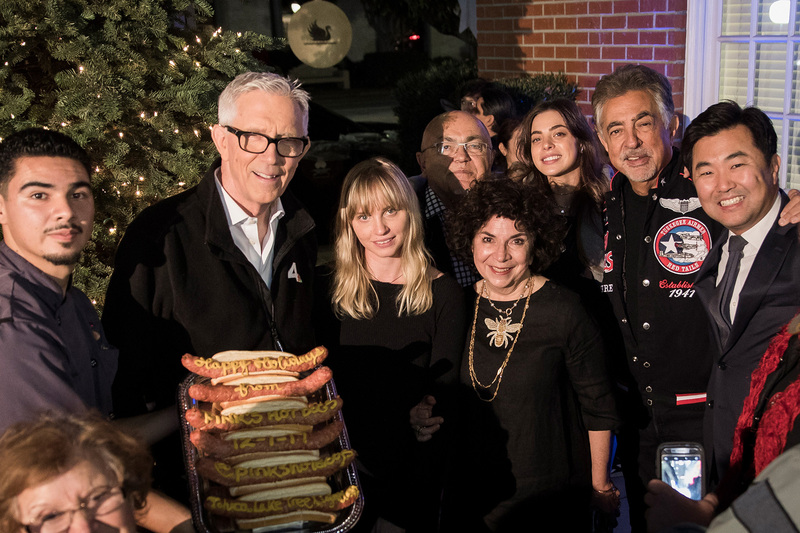 The event included live music, merchant giveaways, food and drink galore (including 1,200 free hot dogs provided by Pink’s), an opportunity to have photos taken with Santa Claus, and a tree-lighting ceremony emceed by Honorary Mayor Fritz Coleman. 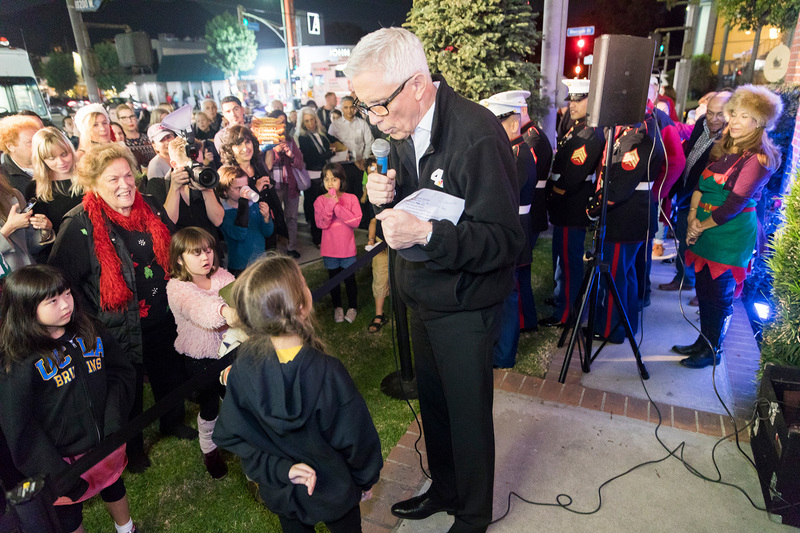 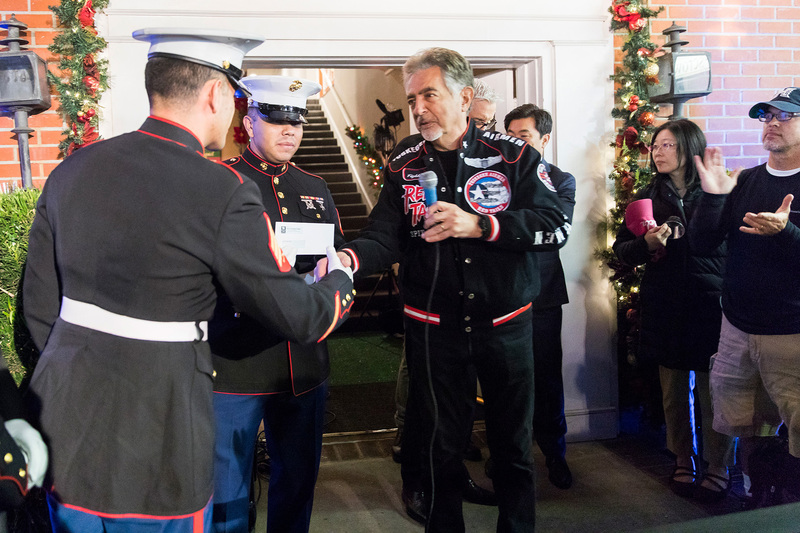 “This is truly one of the most wonderful celebrations in SoCal to kick off the holiday season,” Coleman declared. 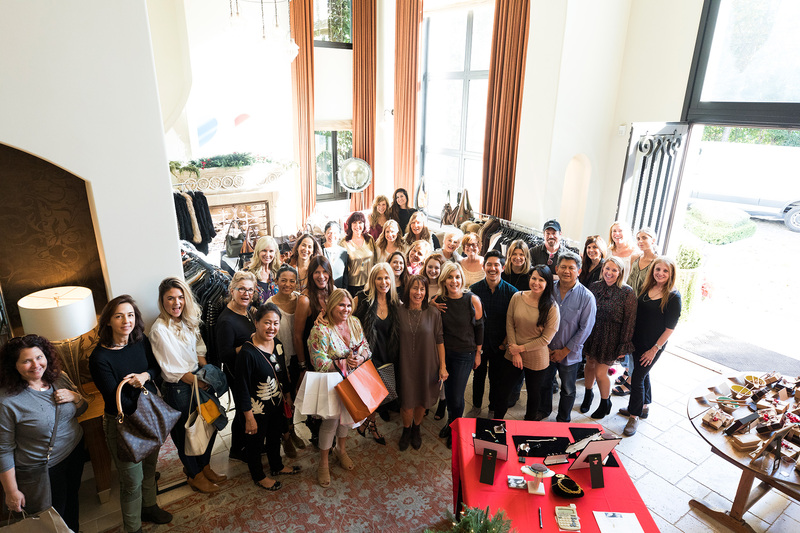 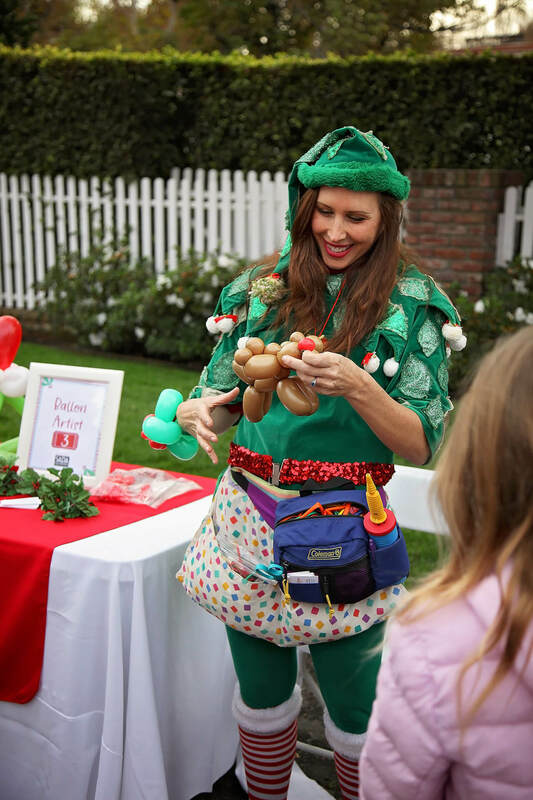 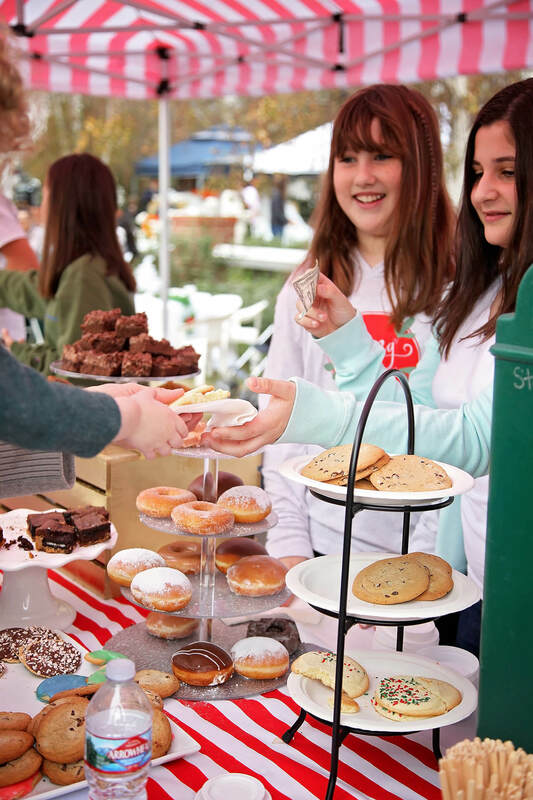 On December 7, hundreds of residents and friends shopped for gifts while contributing to a worthy cause at a holiday boutique in Colleen and John Shanks’ Toluca Lake home. 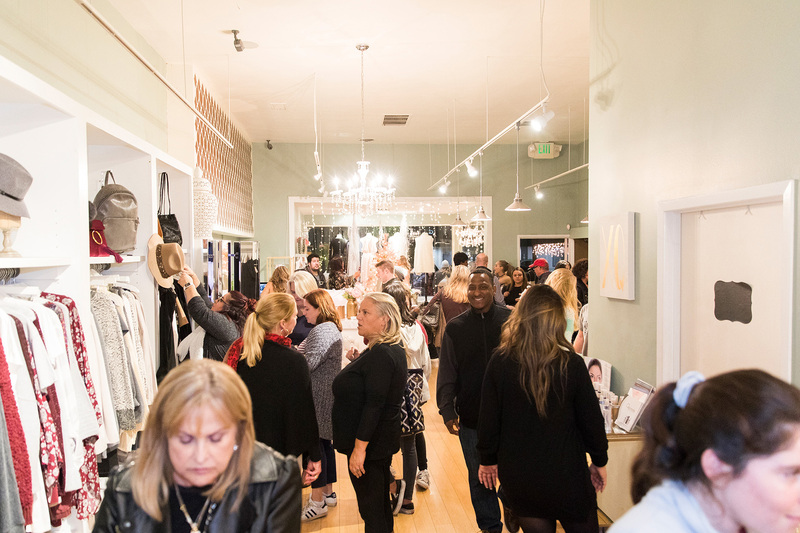 More than a dozen vendors — including local businesses Rose & Sage and Truly Toffee — sold clothing, jewelry, décor items and more, with 20% of all proceeds donated to Momma’s House, a nonprofit providing housing and support for young mothers in Long Island, the Shanks’ hometown. 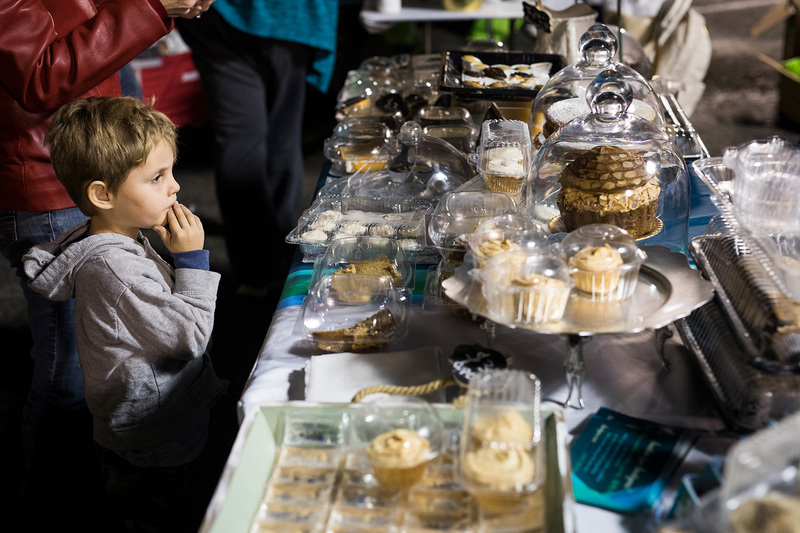 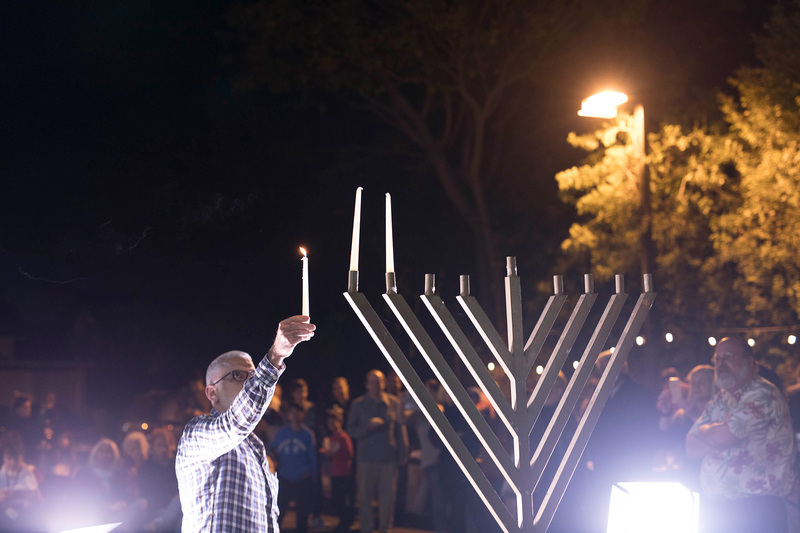 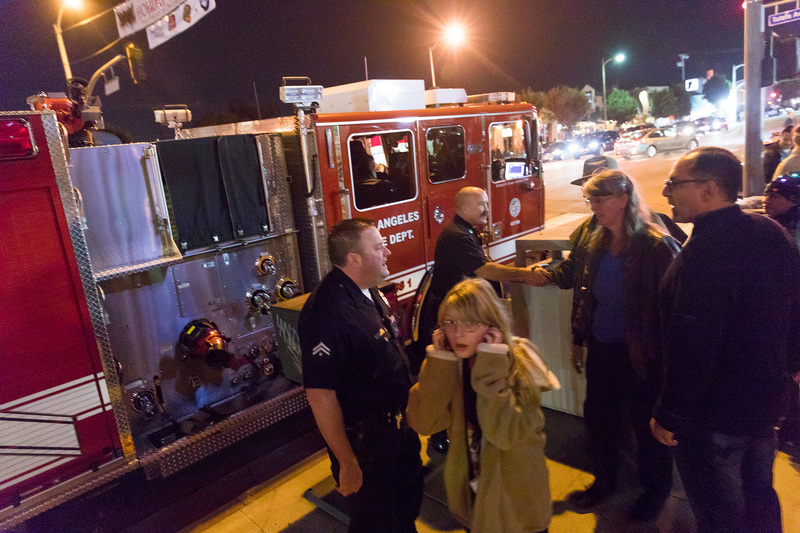 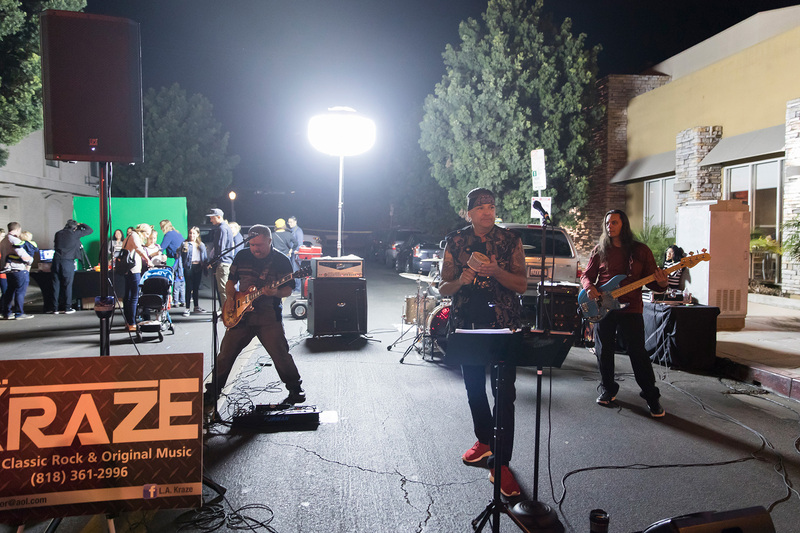 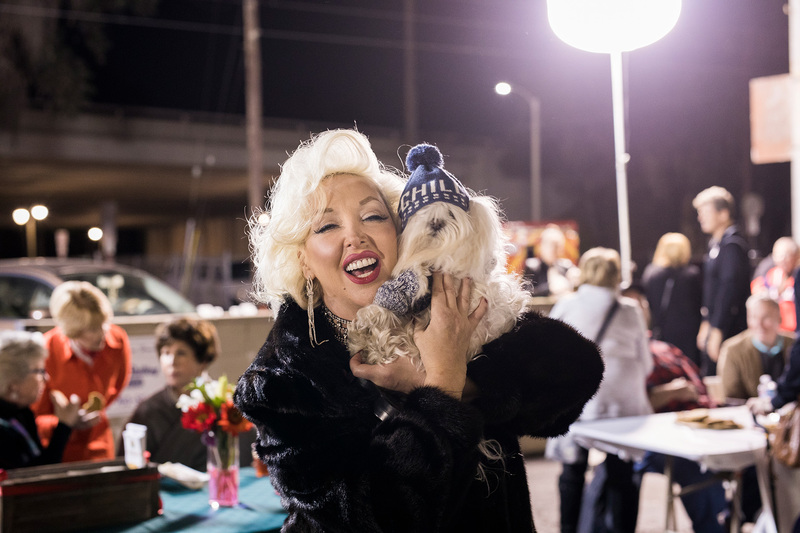 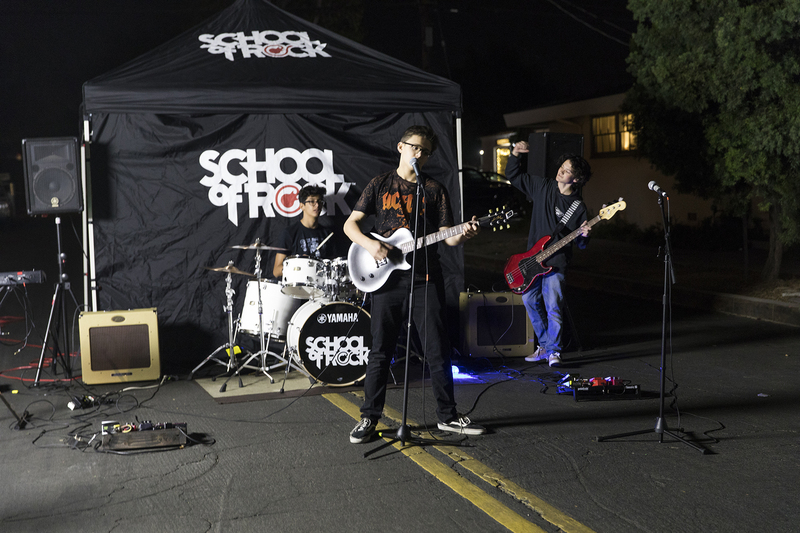 On December 13, the second night of the Festival of Lights, Chabad of Toluca Lake hosted its annual Chanukah Party and Menorah Lighting at the Chase Bank parking lot on Riverside Drive. 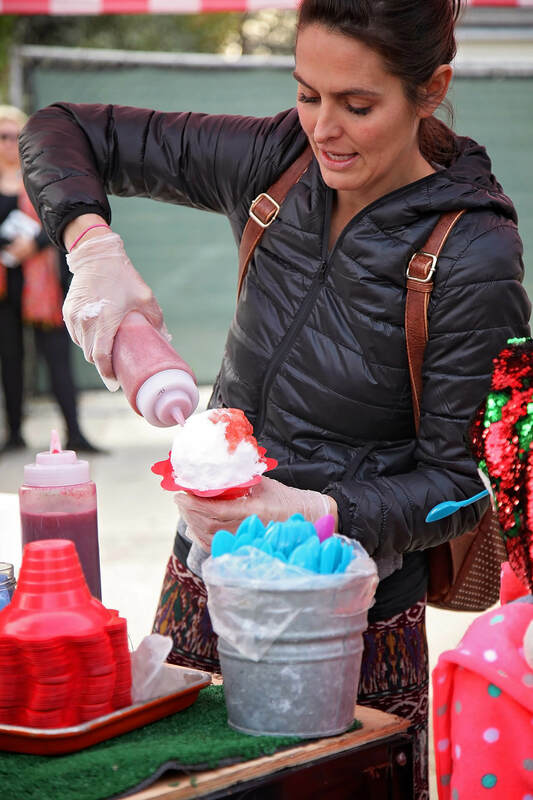 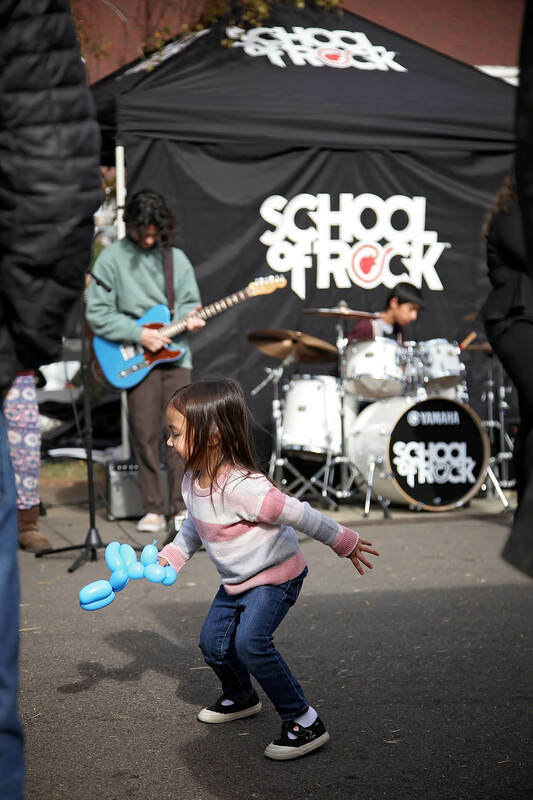 Attendees enjoyed free fun for the whole family, featuring latkes, jelly doughnuts, hot soup and coffee; live music; a fire-juggling show by Ivan Pecel; hands-on crafts and dreidel fidget spinners for the kids; and a special guest appearance by Fritz Coleman. 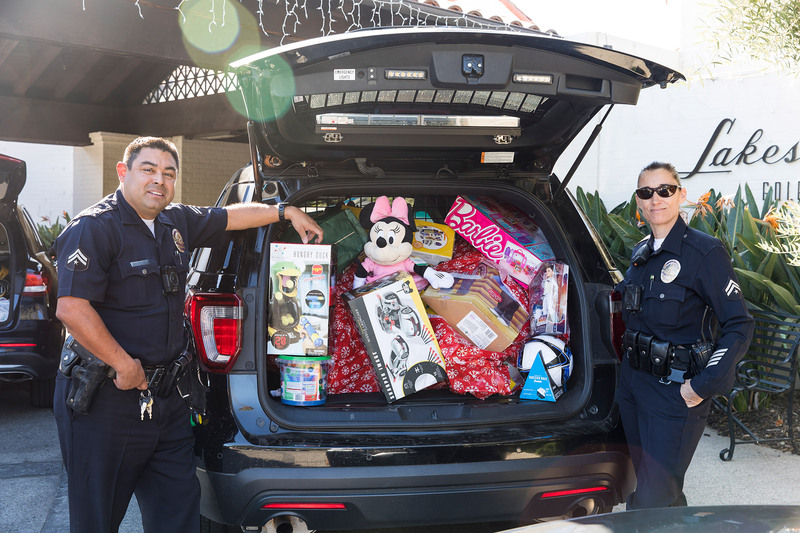 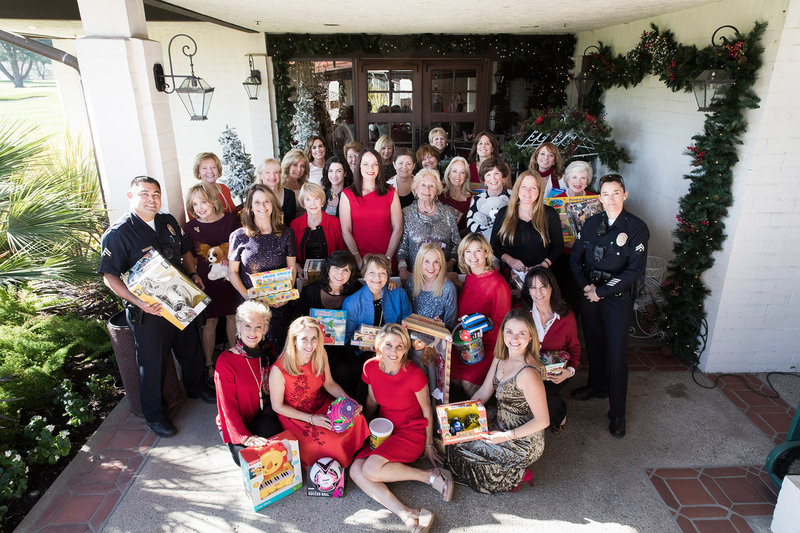 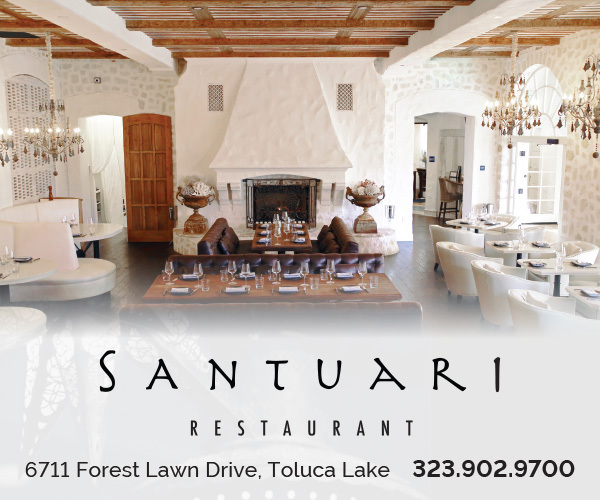 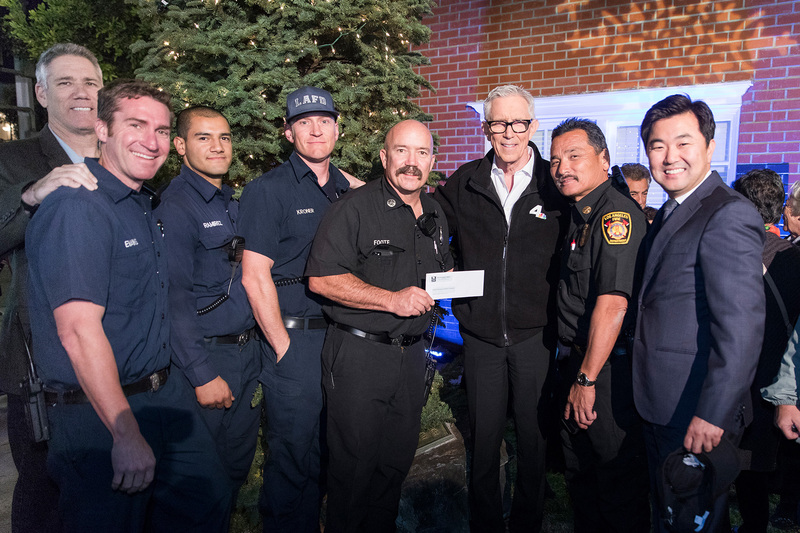 The event also included a toy collection drive benefiting Tarzana Children’s Hospital. 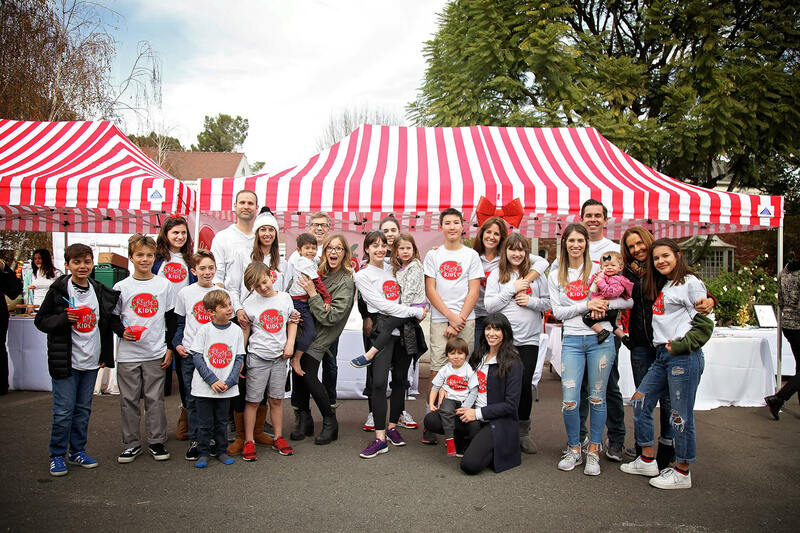 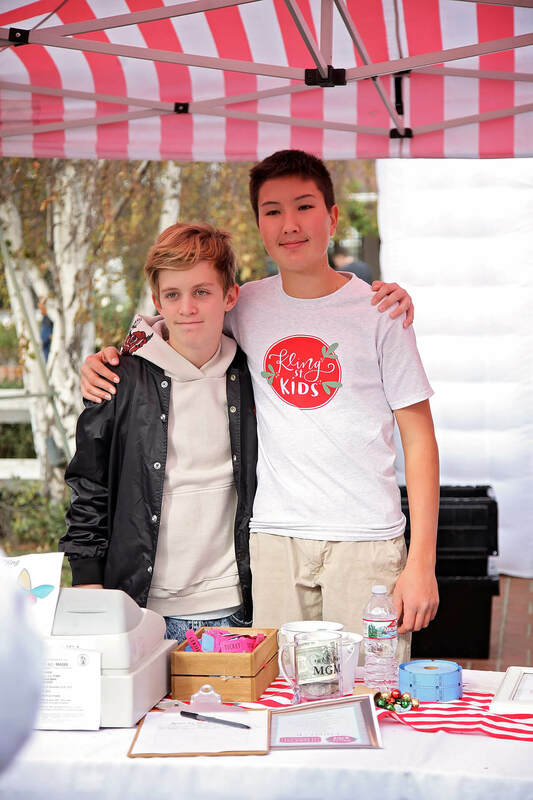 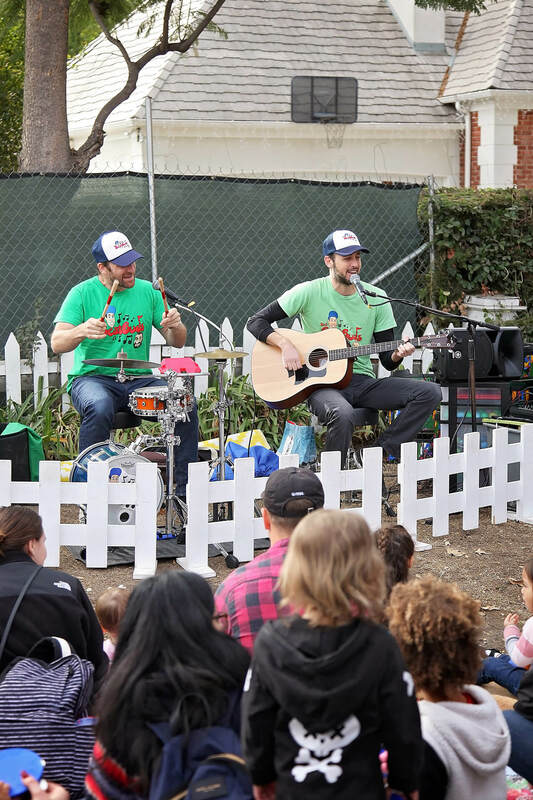 On December 23, the annual Kling Street Kids charity event raised $26,627.60 for Children’s Hospital Los Angeles, surpassing its $25,000 goal and bringing the total amount donated over the course of the past 16 years to an incredible $208,659.55. 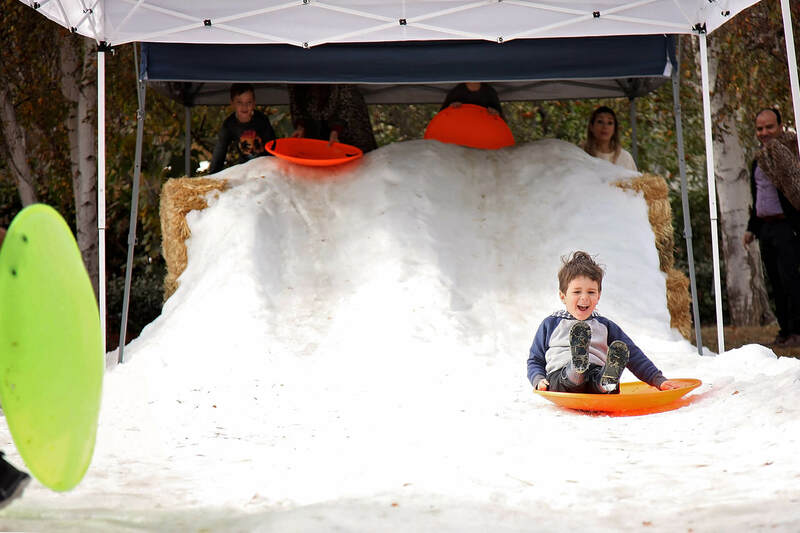 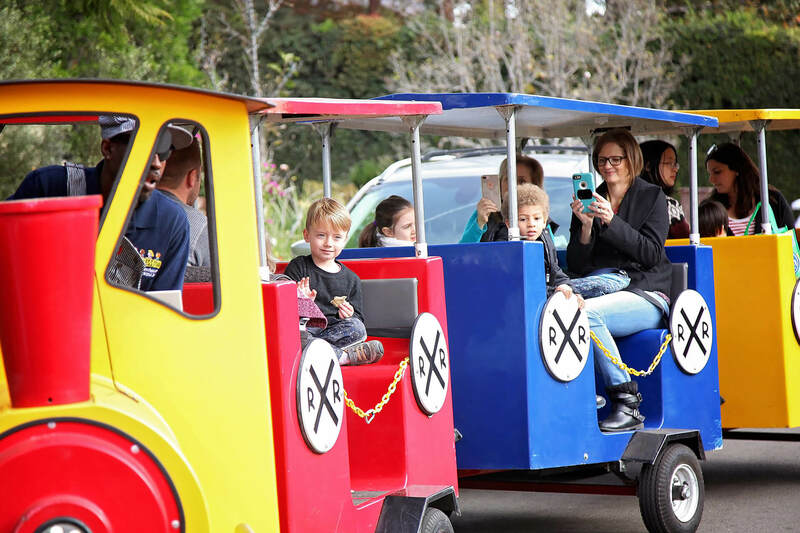 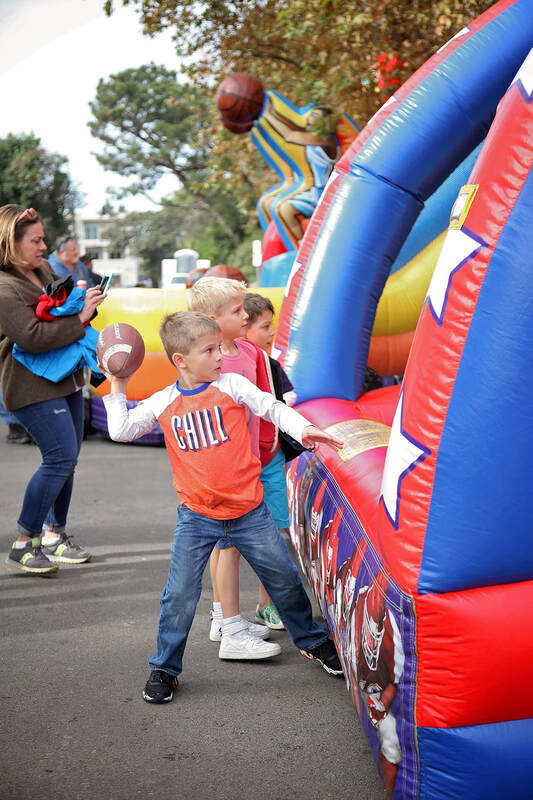 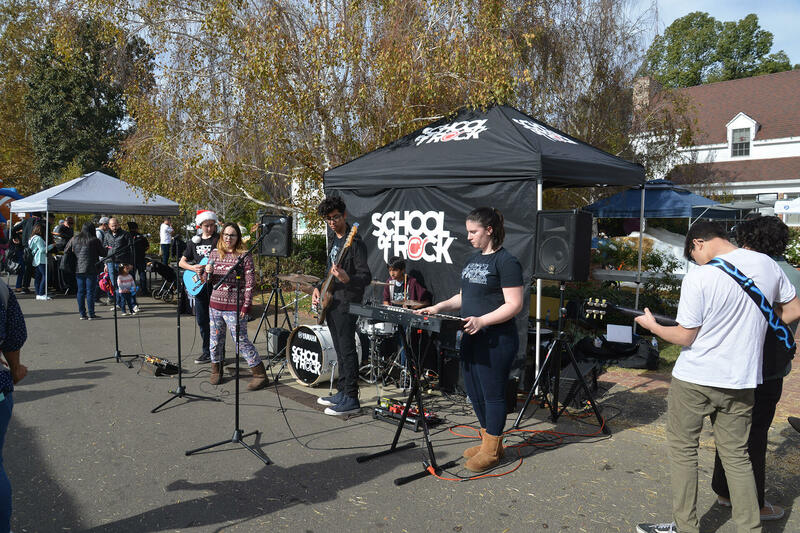 Families flocked to purchase treats, shop for gifts, sponsor pillow pets for sick children, and enjoy a huge array of activities — including live music, pony and train rides, a petting zoo, face painting, bounce houses, and sledding on 10 tons of real snow brought in for the occasion.